Dock Rotz, located at 859 Ridge Road in Minooka, is a full-service restaurant and bar featuring high-end bar food with a family-friendly atmosphere. It employs about 35 and is owned by Carrie Beamish and Rick Trafton. “We are constantly diversifying to meet the needs of the growing Minooka/Channahon area. Over the past 5 years our menu has continued to be modified to satisfy our customer base. We also can accommodate private parties and fundraising events,” Beamish said. A celebratory anniversary ribbon cutting was held Aug. 27 with the Channahon Minooka Chamber, a division of the Grundy County Chamber of Commerce & Industry. Minooka Mayor Pat Brennan, village officials, Chamber staff and Ambassadors joined the Dock Rotz owners and staff for the ribbon cutting. “Dock Rotz has been an asset not only to our Chamber, but to the Minooka area. 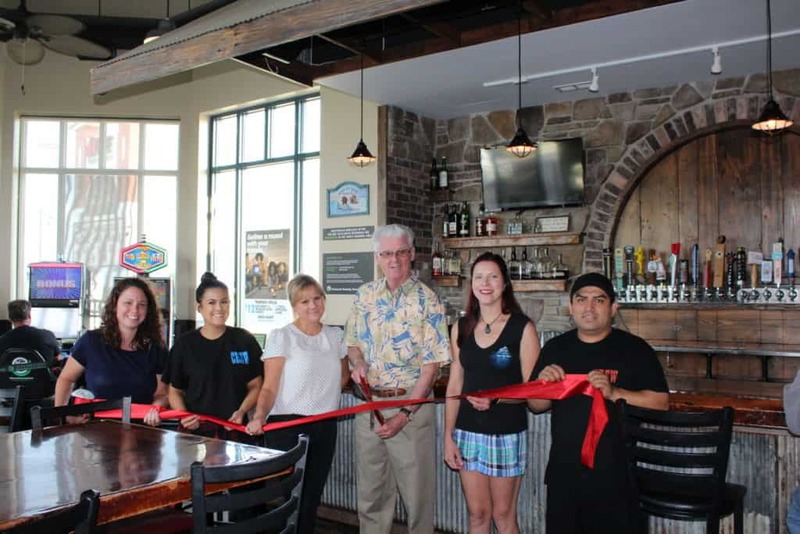 The experience dining there is always exceptional and they are great supporters of our community,” Christina Van Yperen, Chamber Executive Director said. After five years Beamish and Trafton have decided it’s time to grow the Dock Rotz brand. “We are happy to announce that we are expanding! We are opening up a second location at the Inwood Athletic Club in Joliet. We cannot wait to bring ‘The Dock at Inwood’ to the community of Joliet,” Beamish said. Dock Rotz is open from 11 a.m. to 12 a.m. Monday through Sunday. For more information on Dock Rotz call 815-467-2200. For more information on the Channahon Minooka and Grundy County Chamber visit grundychamber.com, call 815-942-0113, or download the free Grundy Chamber App.